Chinese moguls keeping a toe down under. When a rare chance arose to buy a World Heritage-listed resort island in the Great Barrier Reef last year, Australian-Chinese media mogul William Han decided to invest in paradise. “Aussie Bill”, as he is known, outbid 200 others for the 584ha Lindeman Island off the coast of Queensland from Club Med, shelling out A$12 million (S$15.3 million) for it. He now plans to spend another A$500 million at least to turn it into a high-end resort for Asian holidaymakers. Mr Han is one of a growing breed of Chinese-Australian moguls, several of whom are on China’s top 1,000 rich list compiled by the Hurun Report magazine. 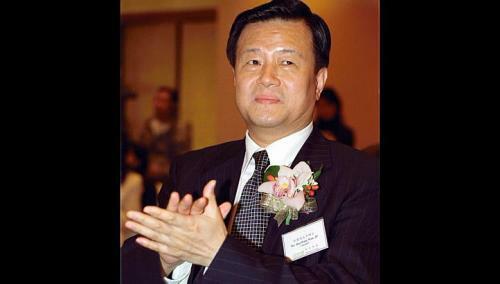 Shanghai-based property mogul Xu Rongmao was ranked No. 12 last year with an estimated worth of US$4.7 billion (S$5.8 billion). An Australian citizen, he has invested in properties in Sydney and Darwin and educated both his children in Australia. It is the first strike in living memory for many Gen X and after Singaporeans… the first in close to three decades. The full force of law was really only going to be the one outcome, whether this was a strike by migrant workers, or by locals despite its long running history as Chinese-majority satellite for cross-pollination. Objectively, industrial action is virtually unheard of in the island state, and it was really until I lived overseas in recent years that i understood and experienced what it meant. Nevertheless, this evokes questions on the narrative of a cohesive Greater China. Activists demonstrate against the bid to punish striking drivers at the Singaporean consulate in Hong Kong on December 5, 2012. Singapore (CNN) — In a case that brought to light issues of unfair pay and poor living conditions among foreign workers in Singapore, a court sentenced four Chinese nationals to several weeks in prison for instigating an “illegal” strike in late November. The four, who had pleaded guilty, were led from court in handcuffs to begin their terms in Changi prison immediately. Please click here to read the rest of the article at its source. Greater China sphere: In China to affirm bilateral ties, Singapore’s prime minister left Beijing Friday September 7th after a six-day official visit. During his stay, he met with China’s top leaders Hu Jintao, Wen Jiabao, Vice Premier Li Keqiang and top legislator Wu Bangguo. On top of Beijing he also visited Sichuan Province to the southwest and Tianjin Municipality up north. Of course, the symbolic gesture has been the arrival of pandas from China as token making Singapore the seventh recipient of panda diplomacy. Here’s a broad sweep of state media coverage on Lee’s visit. Facing west, however – A report by the two million-readership New Yorker (September 7, 2012) featured the headline Singaporean Tells China U.S. Is Not in Decline. It focused on the Singapore prime minister’s speech (first was in 2005) at the Central Party School under the theme “China and the World – Prospering and Progressing Together“. BEIJING — In an unusual public airing of strategic problems surrounding China’s rise, the prime minister of Singapore, Lee Hsien Loong, warned China on Thursday that it should view the United States not as a declining power, but as a nation with the ability to innovate and bounce back. Is Singapore in a position to ‘warn‘ China? Many years ago, what Lee Kuan Yew had to say, Deng Xiaoping was stirred to listen. But at best, it represented a scalable model where authoritarian capitalism (with some room for deliberation) could work in, albeit in a very finite space of just 600+km2. For twenty years since official ties were made the Chinese have been sending its mayors to Singapore for training That is probably one of the few valued contributions Singapore can provide in the mind of the Chinese. Further down the road, does the relationship between the younger Lee and China simply carry the same resonance? Perhaps what is lacking is the interpersonal relationship with key figures that his father had. Indeed, the little red dot requires a myriad of interlocking regional strategic engagements to keep it safe – it has to stay ‘as neutral as possible’ despite its obvious Chinese-majority population and ruling class while providing the US naval support since the 60s. I think the NY Times does stir with fourth estate dyslexia by couching the speech as a warning. A scan of the speech will reveal the overarching theme is interdependence and some pointers Lee Hsien-Loong sees as necessary bilateral Sino-US ingredients for a stable environment for Singapore to continue to thrive. With a minute domestic market dependent on imports for natural resources, Singapore’s ingredient for survival is to avoid and help manage conflict at all cost. So – Warning, it is not. It hardly makes sense for Singapore to stand up to, for there is little strategic leverage in, ‘warning’ China. It understands China’s position as it shares cultural traits and arguably a lasting one-party model (China’s from 1949, Singapore’s from 1965). However, by tapping on memories of its long history of western education since 1819, the Singaporean perspective can offer useful pointers on keeping an East-West equilibrium for the region. This is an excerpt from a transcript of a dialogue Prime Minister Lee Hsien Loong had with senior Chinese party officials at the Central Party School in Beijing on Thursday. Bilateral ties between China and Singapore are good, but both countries have differing views on some important regional and global issues. How do you think we can communicate and work better on these issues? How do you see the relationship between Singapore and China going forward? PM Lee: China is a big country growing rapidly. Singapore is a small country also seeking to prosper in Asia. We wish Asia to be stable, and the region to be open and prosperous together. Filed under: ASEAN, Beijing Consensus, Channel News Asia, Charm Offensive, China Daily, Chinese Model, Collectivism, Confucius, Culture, Domestic Growth, East China Sea, Economics, Environment, Finance, global times, Government & Policy, Greater China, Hu Jintao, Influence, International Relations, Media, New York Times, Overseas Chinese, Peaceful Development, Politics, Public Diplomacy, Resources, Singapore, Soft Power, South China Sea, Straits Times, Tao Guang Yang Hui (韬光养晦), Territorial Disputes, The Chinese Identity, The construction of Chinese and Non-Chinese identities, Trade, U.S., China's Rise, Economics, Environment, International Relations, Politics, Public Diplomacy, Singapore, South China Sea, Strategy, U.S.
Panda diplomacy meant to celebrate two decades of diplomatic ties between Singapore and China back in 2010 is finally going to be realised end 2012. Singapore is to be the seventh country to receive a panda on loan from China. Capitaland, a Singapore developer that has huge inroads into the Chinese property market will be sponsor over a ten year period for facilitaties such as a climate-controlled enclosure, 8,000m2 of bamboo and breeding programmes. 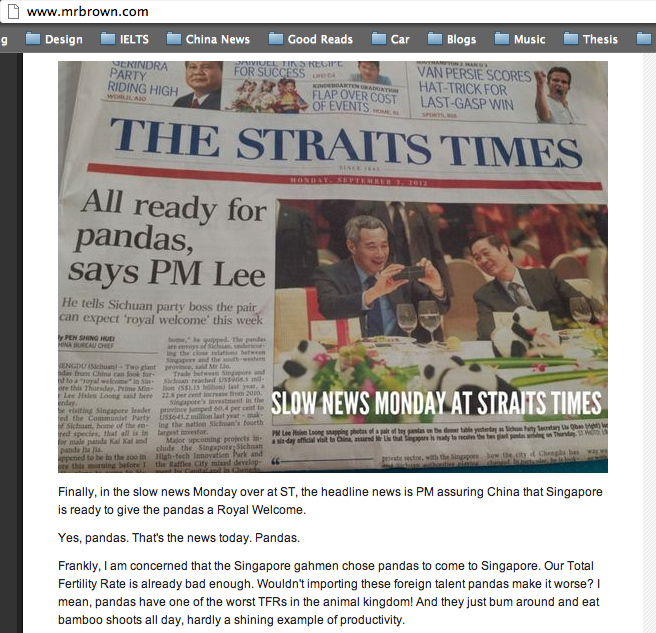 And here’s a reaction from an influential blogger from Singapore, Mr Brown. SINGAPORE: A pair of giant pandas from China will arrive in Singapore by the end of the year. The pandas, Kai Kai and Jia Jia, will be on loan to Singapore for 10 years, to foster good ties between the two countries. This was confirmed after the 9th meeting of the Joint Council for Bilateral Cooperation in Suzhou, co-chaired by Singapore Deputy Prime Minister Teo Chee Hean and China Vice Premier Wang Qi Shan. Singapore was one of the key inspirations for China’s Shenzhen SEZs in the 80s and the on-running Suzhou (1994) and Tianjin projects (2007) are continuing symbolic acts of co-operation between China and Chinese-majority Singapore. SINGAPORE : Chinese Vice Premier Wang Qishan will lead a delegation of Ministers and senior officials to Singapore on a three-day visit starting Tuesday, at the invitation of Deputy Prime Minister Teo Chee Hean. Mr Teo and Mr Wang will co-chair the 13th Suzhou Industrial Park Joint Steering Council, 4th Tianjin Eco-City Joint Steering Council and 8th Joint Council for Bilateral Cooperation meetings on July 27. 2011 and the birthday ‘dragon’ celebrates with a double edged sword of pomp and humility: the winner of the 20th century Chinese civil war re-asserts its position and vision celebrating its 90th birthday. 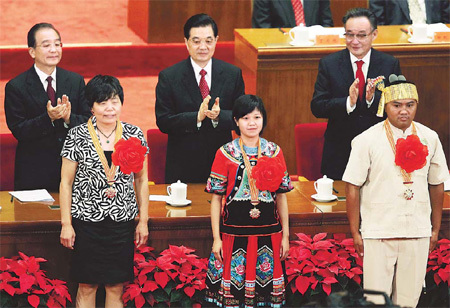 Humility and legitimacy rhetoric – In a keynote address (Hu: CPC must serve the people – China Daily, July 1, 2011) at a ceremony in the Great Hall of the People in Beijing, three key points were made as Hu Jintao reminded Chinese leaders that alienation from the people (like how all previous dynasties fell since time immemorial, losing the mandate of ‘heaven’ (one can say the mandate of consent today) means the people always feel empowered to fight back). Acknowledging the party is confronted with growing pains in the rapidly interconnected and glocalised landscape – he warned that incompetence lead to a divorce from the people and that corruption had to be seriously addressed and that democracy with Chinese characteristics was essential for the way forward. BEIJING: Chinese President Hu Jintao on Friday warned on the 90th birthday of the ruling Communist Party that it still faced “growing pains” and that rampant corruption could lead to a loss in public confidence. Hu made the comments in a keynote address at a ceremony in the Great Hall of the People in Beijing to party leaders and members gathered to celebrate the anniversary of the CCP’s founding in 1921. A symbolic gesture toward eventual reunification? 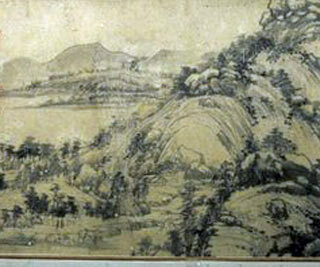 TAIPEI : One of China’s best-known ancient paintings, torn into two parts in the 17th century, was shown in its entirety in Taiwan Wednesday for the first time in more than 360 years. China and Taiwan have one part each, and the fact that the two could be joined together for the first time in generations symbolised a broader trend of closer ties across the Taiwan Strait, officials said. “It’s very much like destiny,” said Zhao Hongzhu, the head of the Communist party in east China’s Zhejiang province, the home of the mainland bit of the ancient piece of art, known as “Dwelling in the Fuchun Mountains”. To reform or oppress? That seems to be the two prevailing attitudes in China. The 3,000 strong National People’s Congress is set to gather in a week-long meeting as the government seeks to outline its priorities for the year. Topping the list of concerns? High inflation and perceptions that the income divide is getting wider. “It’s called ‘red-eye disease’. It’s jealousy – they hate how much money others are making.” China analyst Willy Lam of the Chinese University of Hong Kong. BEIJING: China’s parliament opens its annual session this week in the most tense climate in years, after unrest in the Middle East highlighted a tinder box of social issues that have jangled nerves in Beijing. The National People’s Congress, which is made up of about 3,000 delegates, has limited power and its week-long meeting serves more as a rally exalting the ruling Communist Party than a forum for real parliamentary debate. 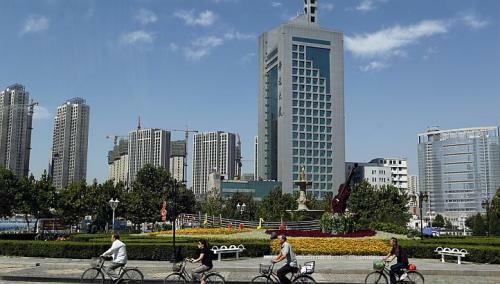 SHANGHAI: Shanghai plans to be Asia’s top stock market by 2013 and launch 24-hour trading by the end of the decade as it works towards setting up an international board, state media said Monday. The Shanghai Stock Exchange aims to be “one of the most influential” bourses in the world by 2020, the Shanghai Securities News said, citing a long-term development plan for the stock market. Analysts have said Monday’s data showed success in efforts to steer the country towards more sustainable growth, less dependent on exports. 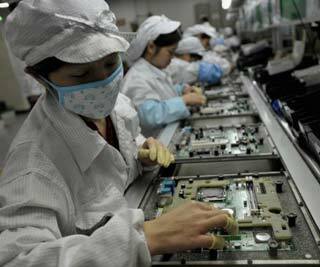 BEIJING – Manufacturing activity in China hit a six-month high in October, an independent survey showed Monday, in a sign that a recovery of the world’s second-biggest economy has further consolidated. The HSBC China Manufacturing purchasing managers index (PMI) rose to 54.8 in October from 52.9 in September as production and new orders continued to rise.